Delhi H.C : No notice has been issued to the vendors to whom payments had been made by raising bills. Cheil India Private Ltd. & Anr. vs. Pr. CIT & Anr. Sanjiv Khanna & Chander Shekhar, JJ. 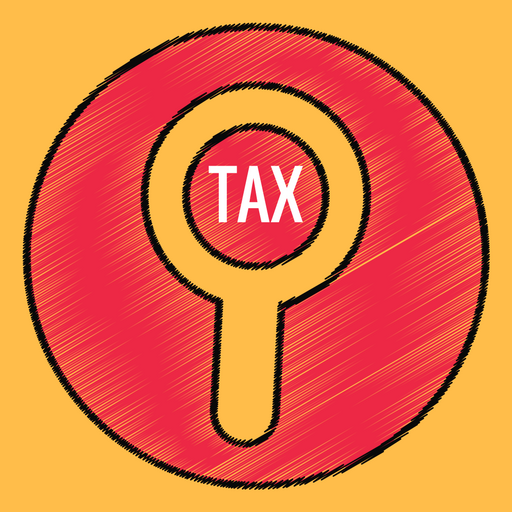 Present appeal by Cheil India Private Limited under Section 260A of the Income Tax Act, 1961(“Act” for short) relates to the assessment year 2011-12. It impugns the order dated 9th December, 2016 of the Income Tax Appellate Tribunal (hereinafter referred to as the ‘Tribunal’) passed in ITA No.6185/Del./2014. Cheil India Private Limited (“assessee”) had suffered a best judgment assessment vide order of the Assessing Officer dated 28th March, 2014 under Section 144 of the Act. Additions of Rs.3,01,15,968/-and Rs. 1,31,46,91,575/-were made on account of low net profit ratio and difference in the receipts as declared and the receipts as shown in Form No.26AS, respectively. The Commissioner of Income Tax (Appeals) (“CIT (Appeals)” for short) vide his order dated 20th October, 2014 upheld the decision of the Assessing Officer in passing the best judgment assessment order. Notwithstanding the said findings, the CIT (Appeals) proceeded to examine the additions made by the Assessing Officer on merits, by directing the Assessing Officer to issue notices under Section 133(6) of the Act to 22 vendors picked on sample basis. Notices were issued, to which some of the venders had replied while some others did not respond. In some cases, there was difference in figures confirmed by vendors. The CIT (Appeals) upheld addition to the extent of Rs.89,46,18,940/-on account of difference in receipts declared and shown in Form 26AS, equal to the amount of the receipts not confirmed by the vendors to whom notice was issued and discrepancies in the figure was confirmed. In addition, ad hoc disallowance @ 50% i.e. Rs. 23,93,44,462 was made, observing that there would be bogus vouchers from vendors to whom notices were not issued. Addition of Rs.3,01,15,968/-on account of low Gross Profit rate was upheld. The CIT (Appeal) invoked Section 40(a)(ia) of the Act and made a new addition of Rs. 61, 99, 129/. Tribunal in the impugned order dated 9th December, 2016 has referred to an earlier order dated 17th August, 2016 passed by them in relation to Assessment Year 2010-11 in the appellant-assessee’s case, wherein the issue of “receipt” was restored to the file of the Assessing Officer to be decided afresh. This order records that the appellant-assessee had not declared receipts from their clients on the income side and payments from vendors on the expenditure side. According to the Tribunal, the said way of presenting the accounts would not conclusively prove under-statement of income, which was an aspect to be determined on the touchstone of the factual and legal position. The matter was restored to the Assessing Officer, who was required to procure requisite details from vendors and thereafter make re-conciliation of the transactions recorded in the books of accounts. Even for the earlier assessment year 2009-10, this issue had been remanded by the Tribunal to the Assessing Officer for the same reason. On the question of ad hoc deduction, the Tribunal has recorded that no notice has been issued to the vendors to whom payments had been made by raising bills. Therefore, the issue was required to be re-examined threadbare and exhaustively by the Assessing Officer after procuring requisite information and dwelling on the same as per law. The assessee obviously would be given an opportunity. On the question of addition made by applying Section 40 (a)(ia) of the Act, a number of arguments were raised by the appellant/assessee. Tribunal has observed that in view of order of remand in respect of payments to vendors, etc, the question required fresh determination after providing the assessee an opportunity of being heard. The Assessing Officer would make due verification. The Tribunal also referred to their order for the Assessment Year 2010-11, holding that the appellant-assessee was not a sub-contractor, but an agent and, therefore, Section 194C of the Act would not be attracted. Before us, learned counsel for the appellant/assessee had drawn our attention and had questioned best judgment assessment order under Section 144 of the Act. We would notice the said facts and the contra assertions of the appellant-assessee and the Revenue. Given the nature of disputes raised, the factual matrix to be ascertained and the order of the CIT (Appeals), we would observe that the Tribunal was justified in remanding the matter to the Assessing Officer on all questions which were somewhat inter connected. This was a case of best judgment-assessment which had lead to a detailed inquiry by the CIT (Appeals). Issues raised and to be decided, were pending on remand before the Assessing Officer in proceedings for other years. Learned counsel for appellant-assessee submits that they are not per se objecting to remand but apprehend that the Assessing Officer would issue notice to all parties with whom they had business transactions. This, it was submitted that would cause harassment and inconvenience. This would adversely impact business of the appellant/assessee. The Assessing Officer has to examine factual aspects. We hope and trust that the Assessing Officer will duly take into consideration apprehensions and fears of the appellant/assessee and hold enquiry as required and necessary, as per the procedure prescribed by law. In the aforesaid circumstances, we are not inclined to interfere with the impugned order, whereby the issues have been remanded to the Assessing Officer for fresh and de novo decision and adjudication. With the above observations, the ITAs are dismissed, with no order as to Costs. This entry was posted in Income Tax Case Laws, Section 133, Section 144, Section 260A and tagged 407 ITR, Delhi High Court, In favour of Assessee, without notice.